We offer imaginative, engaging and fun learning experiences inspired by London’s waterways and green spaces. Beauchamp Lodge Settlement was set up in 1938 by Diana Marr-Johnson, to alleviate the poverty, loneliness and despair experienced by people caught between the aftermath of the Great Depression and the onset of World War Two. 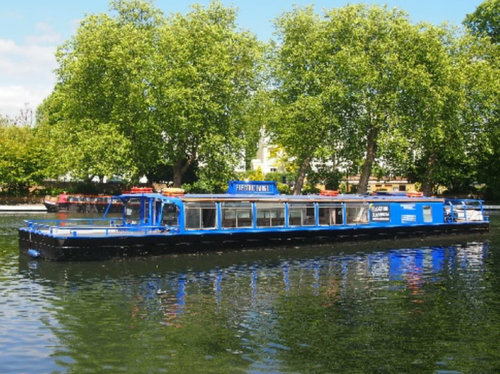 In the early 2000s the charity took the decision to focus all of its energies on the activities it offered on its latest and boldest project: the Floating Classroom. Today we offer imaginative, engaging and fun learning experiences inspired by London’s waterways and green spaces. Working with a diverse range of people including those from disadvantaged backgrounds, we encourage curiosity, take a delight in discovery and forge a sense of kinship with the natural world for people living in the city.